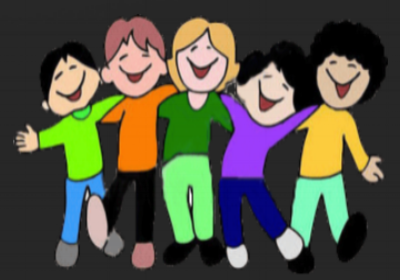 EIW instruction applies improvisation and public speaking skills to increase confidence, connection, personal literacy and best SEL (Social Emotional Learning) practices for untraditional learners from early education through high school. Educational Improv Works (EIW) is our name, and we also believe it is a fact! Improv opens doors, minds, and sometimes hearts that would otherwise remain closed off and silent. EIW has adapted and synthesized decades of improv training and exercises into a unique regimen to help minds better develop to communicate with themselves and others. Our program is rooted in studies related to meta-cognition and is an SEL curriculum focused on collaborative small group communication. EIW’s classes open pathways, sustain curiosity and increase connections to help young minds better create, collaborate, speak and organize their content and stories. The group instruction emphasizes public speaking and listening, focus and critical thinking, and expands verbal and non-verbal skills through the organization of thoughts, group storytelling, and team-building. Why Improv & Public Speaking? 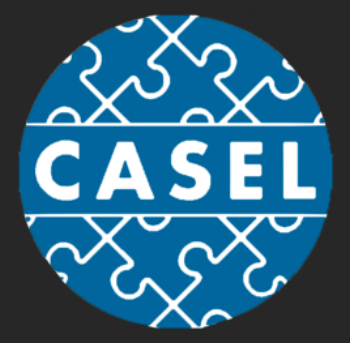 This focus on connecting the disconnected and the improvement of a student’s SEL palette—along with cementing basic but foundational communication skills—are the general attributes of the EIW program. Improv has been used to enhance the talents of CEO’s, managers and directors at Fortune 500 companies, sales teams and aspiring performers of all niches. The EIW program wishes to attract administrators and teachers who seek robust ways to increase engagement, connection, build community and activate long term dialogues and provide more communication skills for these under-served students. It’s long been our contention that what improv and speech training have been providing for decades (group collaboration through play, organization and delivery of verbal scripts) is a well-honed, critical thinking superconductor that should be a natural part of every student’s schooling and curriculum, preparing students for communicating in the 21st century. Researchers now understand that language is more or less the first unofficial script a child explores. This program intensifies and expands a student’s script by fostering a more dynamic collaboration of self and voice through and with others. Lead Instructor Antoine McKay and Program Director Tim Clue enjoy a laugh with an EIW student. 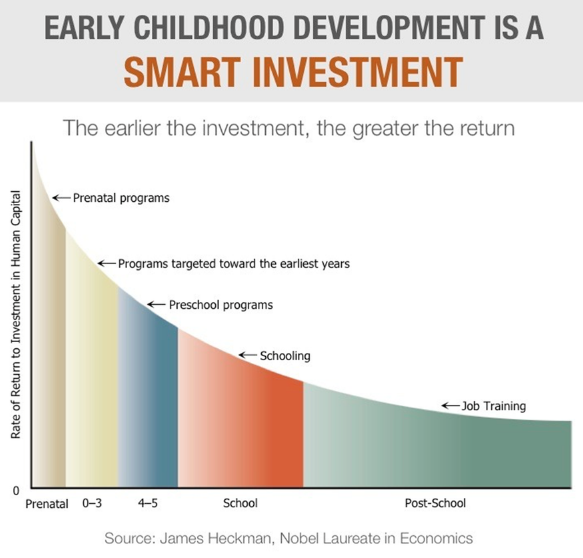 Nonacademic Skills Are Key To Success. But What to Call Them? In this frank assessment of shortcomings in our educational culture, these are some of the words and phrases considered to label the critical skills often overlooked and ignored in our schools. P21, The Partnership for 21st Century Learning, was founded in 2002 as a coalition bringing together the business community, education leaders, and policymakers to position 21st century readiness at the center of US K-12 education and to kick-start a national conversation on the importance of Learning and Innovation Skills for all students. 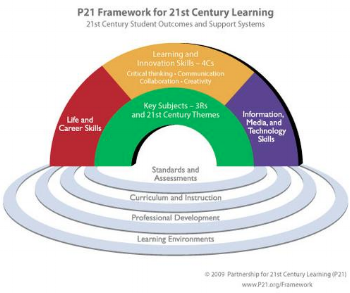 P21's Framework for 21st Century Learning recognizes the skills that separate students who are prepared for increasingly complex life and work environments in the 21st century, and those who are not. A focus on creativity, critical thinking, communication and collaboration is essential to prepare students for the future. Promoting Executive Function Life Skills is the basis of the work at Mind in the Making (MITM).Developed by Families and Work Institute (FWI), MITM is the result of an unprecedented effort to share the science of children’s learning with the general public, families and professionals who work with children and families. KQED, one of our favorite resources, serves the people of Northern California with a community-supported alternative to commercial media. 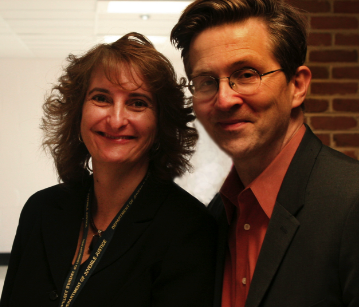 They launched Mind/Shift in 2010, which in turn "explores the future of learning in all its dimensions." 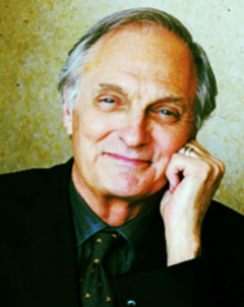 Alan Alda: actor, director, writer and champion of education. Alan Alda, a tireless advocate for Education, founded the ALAN ALDA CENTER FOR COMMUNICATING SCIENCE, whose mission is "to enhance understanding of science by helping train the next generation of scientists and health professionals to communicate more effectively with the public, public officials, the media, and others outside their own discipline." AND GUESS WHAT HE BELIEVES IS THE BEST WAY TO DO THAT? Increasing the curiosity quotient is difficult to measure, but not difficult to achieve. Spike Manton learned the power of words and communication in college when he stumbled onto the Bradley University Speech Team and realized his true passion. Although he started out as a Procter & Gamble Sales Manager, Spike soon channeled his energies back into words and ideas, becoming a successful writer, radio personality and standup comedian with seven national television appearances. He parlayed his performing and business background into a career as a keynote speaker and trainer, Spike sees EIW as an opportunity to apply the knowledge gained from his varied professional experiences. A longtime advocate for children working with Prevent Child Abuse, Autism Speaks and The Gift of Hope, Spike envisions EIW as the vehicle to make a lasting impact on young people by changing the way they learn to communicate. His ability to establish networks, forge relationships, and mobilize resources will guide the infrastructure of EIW. Tim brought to bear his experiences from years as an award-winning college-level educator, his training at Second City, and decades in stand-up comedy to realize his calling as a teacher and motivational speaker. With his Masters in Communication and Theater in hand, Tim advocates for, and speaks around the country about," breaking the hand-raising dilemma" and bringing classrooms online to match the pace and energy of a Google world, while remaining grounded in the spoken word. Passionate about building a program that combines his life’s work as an educator, writer, comic, and speaker, Tim seeks to inspire and share these abilities in all students of all ages. He continues to speak to educators around the country about the forces behind EIW and has appeared before such notables as former President George H.W. Bush and economist Paul Krugman. Tim’s passion for education is what brought EIW to fruition and will continue to lead it forward. Antoine hails from Detroit, Michigan and is now making his home in Chicago with his wife and six (yes, six) children. Antoine has embraced and enjoyed education through the arts for nearly two decades. He honed his skills at Eastern Michigan University’s prestigious theatre arts program where he studied under world famolus acting coach Uta Hagen. Antoine is a long time teacher, improvisor and actor (you may recognize him as Bunkie Williams from Fox’s hit “Empire”). Antoine has offered classes in the performing arts with institutions such as Notre Dame, Northwestern, The University of Chicago and Eastern Michigan University, as well as his own McKay Arts Management theatre company. Having seen first-hand the power and effectiveness the EIW program can bring to any student in any environment, Antoine is excited to have the opportunity to participate in this ground breaking educational program. Dave is a writer, social media strategist, speaker, and trainer, and the founder of a small creative and digital marketing agency called Awlpoint. The author of the popular book “Facebook Me!” published by Peachpit Press, Dave has written extensively about social media and has appeared on radio and TV stations across the country discussing how to use Facebook effectively for both business and pleasure. He was described by Time Out Chicago as "Facebook's Emily Post" because of his focus on social media etiquette. Dave teaches social media marketing classes and workshops as he consults organizations on their social media presence. As a 10-year veteran of Chicago's popular Neo-Futurists theater company, he is also an accomplished performer, as well as a published playwright and poet. Dave's social media strategies will help put EIW in front of educators and administrators all across the country. © 2018 EIW. All rights reserved.